As chiropractors in Nashville we want to make you feel as comfortable as possible from the moment you walk in the door of our office. Our goal is to eliminate every shred of apprehension and make you feel at home. Spiritual or emotional well-being and nurturing. This is the Wellness Model we believe in and live by, and we encourage you to live by this too. Unlike many chiropractors in Nashville, on your first visit we’ll exceed all of your expectations and put all of your fears to rest. What you’ll need to bring is your license, any insurance or third party payer information, and any diagnostic films or notes that is pertinent to your present condition from another chiropractor. 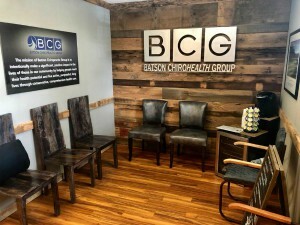 You may complete your New Patient Paperwork before your appointment at Batson ChiroHealth Group. As your Nashville chiropractor, we are basically going to one thing: listen. We’ll do that by completing a health history and reviewing together your chief complaint and your goals. We will try to answer one question and that is, “What is the cause of your symptom or complaint?” From a complete exam to other objective diagnostic testing such as x-rays, we’ll use what we deem necessary to find the answer to that question and whether or not we can help you. Some passive therapies are always used to alleviate symptoms on the first visit, and you will be given some passive home instructions for relief. Click below to find out more about your follow up visits or contact our office today and we will answer all your questions. Follow Up Visits. We’ll report what we found and answer all your questions. Fill out your paperwork. Take a moment to fill our your paperwork ahead of time.